Non bleeding color. Bright and vibrant. Water soluble. This product may speckle in mp soap. To lessen the speckling, mix well and do not over use. This product is not on the CA Prop 65 list of toxic chemicals. MP Soap: Add color to a small amount of liquid glycerin. Mix well. Then add amount desired to melted soap base. Adding more will produce a darker color. You have used too much color if your soap bubbles are not white. Mineral Make Up: Add color directly to base. COMMENTS: I think this might require using quite a bit to get a lavender color. I used a small amount because I was going for a light lavender color, but mostly ended up with gray (saved it with some purple play mica). I won't purchase this again. COMMENTS: I love using the ultramarines in my soaps. This color is just beautiful and strong in my soaps. COMMENTS: I use a small amount of this in my cold process soap, about a teaspoon for 3 pounds, and it’s a really pretty natural light purple. I do like my bars to look very natural so I’d suggest you double that amount if you want a darker shade. COMMENTS: Truly a good color for cold process soap. Holds true throughout all the scents I've tried. COMMENTS: Great color ranging from lavender to bright purple depending on amount used. Blended well. COMMENTS: Finally got to make some lavender bath bombs with this color!! Wow!! A made a huge batch and only needed teaspoon!!! It also makes a beautiful cold process soap!!! • A little goes a long way!! COMMENTS: I love using natural colorants for my products. This is such a pretty lavender color. Works great and did not have a sea water smell that I was thinking I was going to have mask. COMMENTS: Lovely vibrant color! Want to try a mica next. COMMENTS: Very nice color. Mixes well with our cp soaps. A little bit goes a long way. COMMENTS: Used in my scrubs and bath bombs, love the finish look. "Nice Purple that doesn't turn gray"
COMMENTS: I've ordered a lot of different types of purple mica and most of them tend to turn kind of weird and gray in cold process soap, this one didn't. It is a very 'grape' type purple and it only takes a tiny bit to color a large batch of soap. Great color, will purchase again! COMMENTS: The color was so beautiful and turned out great! "hard to get a good purple"
COMMENTS: Took quite a bit to get a light purple in my cp. COMMENTS: This is a very pretty shade of violet. Will use again! COMMENTS: Love this color! I used this beautiful purple in my sugar scrub recipe and it colored perfectly throughout. Next purchase will definitely be a larger size. COMMENTS: This was much more pigmented than other lavender powders I've bought. Worked great. "Color stayed true in cold process soap"
COMMENTS: I used this in my cold process soap, and bath fizzies. The color was beautiful, and stayed true. COMMENTS: Love this color with my lilac FO. One of my new favorites! COMMENTS: I will definitely order more of this! It is great for deepening the shade of purple micas! Even though it is recommended to disperse in water, I used oil and didn't have any issues. I added very small amounts of a light oil and made more of a paste and it blended perfectly in cp! This color doesn't morph and a little goes a long way! • Perfect purple in cp! COMMENTS: Super lavender color for CP soap. Very easy to measure and use. COMMENTS: This is my go to lavender color for cold process soap. Mixes nice. COMMENTS: I used this color for my daughters wedding shower in bath fizzies, and it was true to the color, Was a big hit for her. COMMENTS: Lovely purple in my Lavender CP soap. Premix with oils using mini frother. I had no issues. 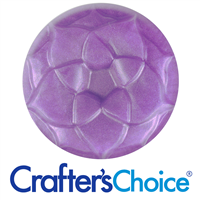 COMMENTS: I Really like this color for my Lavender Soap and bath bombs. Will be ordering the bigger jar! 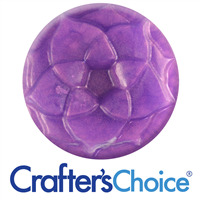 COMMENTS: Crafters choice has very nice micas. I really like this purple, especially paired with a dark purple. COMMENTS: Was expecting the ultramarine to hold its color, didn't happen. Got an ugly grey. COMMENTS: I'm going to give the same review for all the Micas, pigments, dyes..... I love them all have never had any problems. To light? Add more. To dark or stains? Add less! They are all very true. Have a problem? Have fun testing and playing with them. Wsp has the best prices and as far as I'm concerned the best products! 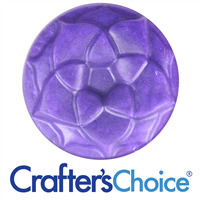 COMMENTS: This is the perfect purple color for my CP soaps! I have made several batches of soap using this color and it always turns out the perfect color. I don't think you can ever go wrong with it. COMMENTS: I used it in hot process soap and it came out a beautiful purple! COMMENTS: I love this product. A little goes a long way. I use it to color my bath salts, and I was happy to discover that it did not stain or discolor the tub! COMMENTS: Love that this is a more natural ultramarine colorant! COMMENTS: I truly enjoy working with the Mica's purchased from WSP. I generally use them for coloring my soap products; however, recently I began using them in my eye shadows and I am simply blown away by the finished product details in both my soaps and eye shadows. I can't compare WSP mica's to anyone else's because theirs work perfectly and is all I need :). So why complicate things. COMMENTS: I use this in a little bit of everything and the reviews are right! It is easy to work with and a little goes a long way! COMMENTS: Gives a great light to vivid color to use in soap, scrubs, fizzies, and blending custom colors for cosmetics. Gets a little clumpy sometimes, but it's easy to work them out by pre-blending a little with oil/product/or a quick ride in a coffee-style blender for large amounts. Sometimes gives off a sulfer aroma when used in high amounts, but it fades within the cure time (CP soaps). COMMENTS: This came as a free sample with an order. I used Matte Lavender Ultramarine Powder in my Lavender Melt & Pour soap. Such a lovely purple produced! I am really liking powered colorants as opposed to liquid or color blocks. I will be ordering a full size version of this. "Very easy to use and blend. Very nice lavender. " COMMENTS: I tried mixing red and blue to make this purple but will not be anything like this lavender beauty. Absolutely love it and great for coloring sea salts and bath fizzies. Only need a little and it brings out the gorgeous lavender. COMMENTS: Many uses! Will buy more! COMMENTS: LOVE this one too! Used in my CP recipes & also some M&P products. Fantastic price point & a little goes a very long way. No speckles in M&P as long as it's pre-mixed in a bit of glycerin first. I also pre-mix before using it in CP & it turns out perfect every time. "Good stuff! Makes good bath salts!" COMMENTS: What more can I say? Bath salts look pretty awesome now. You will not be disappointed. COMMENTS: easy to work with and a true to shade colorant. "If you want true purple, this is it!" COMMENTS: GREAT color! Looks like purple! 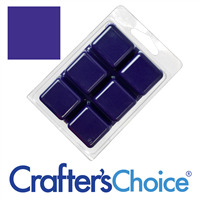 "Crafters Choice™ Matte Lavender Ultramarine Powder"
COMMENTS: I love the color of lavender ultramarine. It doesn't morph and does not cause any problems in soap. COMMENTS: This produces a good purple color in various soap batches, however, it seems a lot is needed. Otherwise, the color turns out more gray than purple. I've only tested this in a bath bomb twice, once using the true lilac fragrance #96, and once using lavender essential oil. There were no issues with the EO bombs, both turned out a great purple color; however, after about a week or two, the color of the FO bombs changed to a bright pink. COMMENTS: I used this for some bath bombs. It took very little to give a vibrant color. Lovely lavender color. I will purchase again. COMMENTS: Easily disperses in water and colors my soap beautifully. I use a lot of this color in many of my soaps; one of my favorites! • disperses evenly and doesn't sink. COMMENTS: I've used this in CP Soap, bath bombs and salt scrubs. I'm always happy with the results. COMMENTS: Love this shade of purple. Very true to color and holds it's color well. COMMENTS: I made a very white Hot Process soap,with a purple swirl and Lilac fragrance. It turned out great. The color did not morph into a grey color. This is a keeper. I will purchase more when I run out. COMMENTS: I really had high hopes for this. Unfortunately, I couldn't make it work right. I mixed the powder in with my fragrance and whisked to mix before trying to add to my product. However, it kept clumping up in balls and wouldn't mix with my fragrance oil. I ended up having to throw out the batch and redo it using liquid color. COMMENTS: We love this color and use it in our bubble bars because it doesn't fade (like some colorants) and it makes a beautiful finished product. 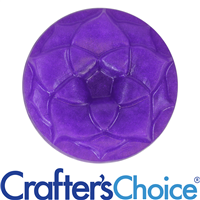 COMMENTS: This is a great purple for my lavender soap and my lavender bath bombs. Mixes well, no clumps and it gives a very pretty color in soap. I love this and will be buying more of it. COMMENTS: Used in lavender soap - sold quickly - just beautiful color. Lovely in butters and whips, made up so pretty in bath salts w/ lav. buds. Another fave color. Tends to go a little gray in a couple of things - balm and soap - if you don't use enough - but it doesn't take much at all. Achieved the most beautiful lavender - was so happy with it I kept the soap for myself for months! Finally decided to share it and customers bought it first above all else! Another great color staple for our body products. COMMENTS: I really liked this color in my cold process soap. I made a lilac scented soap with it, and after gel phase it was a beautiful color, and I feel like it goes great with this scent. I will definitely use it again. COMMENTS: Wonderful product in cp soap, can achieve a perfect lavender color. "Works well in cold process soaps"
COMMENTS: Trying to find the perfect purple in my products has been one of the greatest challenges in my skincare career.First, the Matte Lavender Ultramarine Powder has been trustworthy for years in my cold process and hot process soaps. The finished product is almost exactly the same color as what's in the jar. However, in lotions..another story. Again, I find that ultramarine in lotions tend to smell like sulfur or rotten eggs. So with this, the same has happened. Conversely, the purple pigments when mixed with fragrance oil in lotion does not render a sulfur smell, but the color fades in the lotion...so frustrated! So, if you use this powder my recommendation is no issues in cold process soaps, been using in my lavender soaps for year with EOs and FOs (no sulfur smell); in lotions, the color last but I do not recommend any fragrance oils added to lotion or test small batches of lotion with fragrance oils in case you get the rotten egg smell. COMMENTS: Great pigment in all my products! Just as described! COMMENTS: This is a nice color. "This color turns a slight Grey"
WSP Response: Sounds like you need to add more color. It produces a beautiful lavender color. "So pretty, but discolored my products." COMMENTS: I loved how this looked in the batch right after I made it. However, I did an outdoor show and all my products with this colorant in it started discoloring to a gray color. "Makes a wonderful addition to anything lavender!" COMMENTS: I love using this in lavender bathbombs! It's works wonders! In soap it turn a greyish purple. COMMENTS: Beautiful lavender colorant! Must have for lavender products. COMMENTS: Very pretty color. Nice to use with Lavender. COMMENTS: Perfect with the lavender scents. 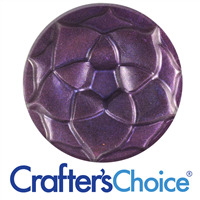 COMMENTS: This make my lilac MP soap a perfect shade with just a drop of Stained glass red. COMMENTS: Mixed well in my goats milk soap. Repeat buy! "Pretty except for where my soap gelled"
COMMENTS: This is a very pretty purple in my most recent cp soap. I have used the recipe and the fragrance together in the past, the only thing different this time was using this colorant. My soap only partially gelled...which in this case might have been good since I was able to see the difference. The part of my soap that remained ungelled is a very nice purple, however, where the soap gelled, the purple turned almost greyish...a distinctly differnt color. So yes, I will use this color again, but I wille be sure that my soap does not go through gel phase when I do. "wonderful soft lavender, winner "
COMMENTS: Love this color and I never have enough. 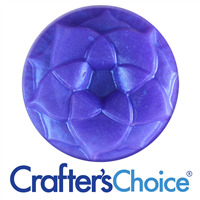 COMMENTS: I received a sample of this color, and it has made the best purple so far in my blueberry cp soaps! 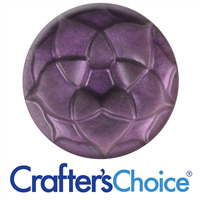 I just ordered a jar of it, because it is so hard to find a mica purple that works without leaving a grainy look. COMMENTS: I love adding this color to my products. I also like using this with the Lavender Fields fragrance. It always turns out so nicely, and you don't need much to add color to your product. COMMENTS: This is a beautiful color. I've only tried it in m&p so far but have a CP design in mind. I mixed with glycerine before adding to the base and it worked wonderfully. I did a fairly intricate swirl design using this and several other pigments and the colors did not morph or bleed. It's only been a few weeks but I see no fading thus far. COMMENTS: I got this as my free sample and used it in a small batch of bath salts and it worked and blended in well with my products. I'll definitely be buying this again! COMMENTS: I rec'd this as a sample and decided to use it in a batch of bath bomb fizzies. I used the WSP Lavender & Lemon FO. The bombs SMELL GREAT and look really cute. I would buy this again. COMMENTS: In my soap batches, this color came out almost gray-ish, I added about 1/2tsp-1tsp per cup of soap and it still came out a little odd in color. Will not buy this particular color again, but may try others. COMMENTS: I used this in my cold process soap along with blue ultramarine they paired beautifully. I only ordered the sample, I will definatly need more! COMMENTS: I used this for my lavender CP soap and the color is beautiful. This is a lavender that stays the same color in CP soap. It was easy to mix in and you can achieve different shades depending on the amount used. COMMENTS: I simply love the ultramarine powders offered by WSP. They're versatile and have worked very well in the different products I offer. The colors are brilliant and easy to adjust for different shading. They add that special "something" you want for each product, you don't have to worry about staining of skin or bathtubs, a little goes a long way, and I much prefer them over less natural colorants. They are especially beautiful in the soaps I make. I used this one color for three different products/scents ranging from a very light to medium shade. I have other projects which will require a deeper color variation and know I will get exactly what I'm hoping for. Try them, they're amazingly fun to work with and you won't regret it. COMMENTS: Used in my hot process lavender bars and it is stunning! A little bit goes a long way- easily diluted in water. No bleeding. "A Little goes a Long way"
COMMENTS: Makes a great bright vibrant color. It is so easy to use. 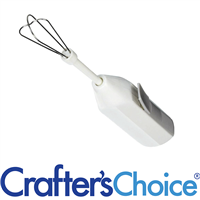 I recommend using a mini mixer when mixing color and oil it helps the color much smoother without any lumps. COMMENTS: Nice non-bleeding light purple color. Make sure you use enough or it will look gray. "Doesn't distribute evenly, turns a weird purple"
COMMENTS: Doesn't distribute evenly in CP soap, turns a weird purple. Even using a milk frother in a small amount then blending into the batter doesn't work well. Mixing with white pigment powder does not improve the results. COMMENTS: The color is very light. It takes a lot to even show a little purple. COMMENTS: I enjoy the free samples! It gives me an opportunity to try before I buy! COMMENTS: Beautiful natural color, a must have! COMMENTS: I used in my bath fizzies. Worked wonderful. COMMENTS: This is a perfect color to pair with Lavender Essential Oil. Highly recommend. "produces a lovely shade of Lilac purple"
COMMENTS: Really loving this color. I plan to order more! COMMENTS: We really like this pigment. It works great! It doesn't seize our soap, and we don't mix it in a carrier oil, we just use distilled water. I do believe that sometimes, depending on the fragrance you use in your soap, that it will affect the pigment. We've had purple turn brown, for an unpleasant look. However, we have found that so far, it works great in floral-type fragrances. COMMENTS: This stays true in CP soap! Love it, I will buy this again! COMMENTS: I like to have a nice powder color for the bath bombs and this is it! Easy to mix in as well. COMMENTS: This color is perfect for spring. Holds up well in cp soap. COMMENTS: Great color and mixes easily. COMMENTS: This colorant gives you a very dark grape color. A tiny bit will go a very long way. A base of this can be mixed with varying amounts of titanium white and a beautiful soap of different shades can be made. I am calling mine Shades of Purple LOL. COMMENTS: I used this in my cold process soaps. It made a very pretty purple color. "Beautiful color .....sometimes ? " COMMENTS: In bath bombs its beautiful, in bath salts as well. In cold process its not consistent . In a pure castile base it is beautiful,but add butters and it goes to a deep purpish grey. In hot process soap it goes almost black . I love the color when it stays true . Hate it when it morphs . Not sure I would buy this again. COMMENTS: I tried this because I needed this color I was a little worried but as I have stated before WSP has never let me down . I called and ask them about a color that would not bleed and they told me about this. So I tried it and now I only purchase my colors from WSP. I would recommend this and almost every single item I have purchased to any one you can not go wrong. • the easy mixture in to my product. "BEAUTIFUL! Little goes a long way." COMMENTS: You only need a small amount to get a beautiful color in your bath fizzies! Love it! COMMENTS: I use this for a light lavender shade in my MP soaps. It looks really nice and pretty! COMMENTS: I looove this one. My scrub,salt,bath bomb & soap looks awesome! Easy to use & sells like crazy! COMMENTS: I used my free sample to make purple drop swirls in a cold process soap with lavender flower melt and pour imbeds. For the melt and pour imbeds I premixed with rubbing alcohol, for the CP soap, sweet almond oil. I used a mini mixer to incorporate and had no issues. The colors came through well, no clumps or bleeding into the white base soap. Will purchase more. COMMENTS: This is perfect color for lavender fragrances. You can easily adjust intensity of the color by adding more powder. It's important to make slush with some oil from the soap before adding it, otherwise will be peaces of powder or "dots" in the soap. COMMENTS: This color was used for bath bombs and body scrubs. A little goes a long way and made a lovely color. Will buy again. COMMENTS: This is a beautiful color in my CP soap!! The color stays true and doesn't migrate. Also only takes a small amount to get a beautiful vibrant color. Will definitly buy this again!! "Was so excited to use until..."
COMMENTS: Mixed well, color stayed true. Blends well with the other pink and purple oxides as well as micas. COMMENTS: Nice medium lavender purple color. COMMENTS: Love this line of colors!! COMMENTS: I was very surprised by the blend-ability of this color powder. I added at a very light trace and didn't have any clumps. The end result was very consistent and smooth. 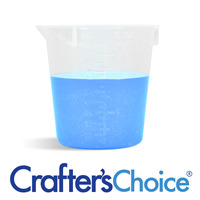 COMMENTS: I use this ultramarine a lot in my CP soaps. It produces a beautiful lavender color and no bleeding. COMMENTS: This is a beautiful color. I used it as one of the colors in my hibiscus soap. I also used some titanium dioxide along with it, and it came out a a very beautiful creamy lavender color. I mix the powder with a little of my soap oils before adding it into the rest of the batch, and I don't have any trouble with clumping. Will continue to use. COMMENTS: Very pretty color in bath salts and MP soap. I did have trouble with the color clumping in soap at first. I was following the WSP video on colorants but found that this shade does in fact need to be mixed in glycerin to disperse. COMMENTS: It's a beautiful color. I added it directly to the soap. I got spectacular result. COMMENTS: Great colorant in CP soap. Mix well with a bit of glycerin to avoid uneven coloring. Stays true to color. COMMENTS: I love this non-bleeding lavender. It goes perfectly with lavender fragrance oil. COMMENTS: Use with my lavender soap. Must be sifted first or it's clumpy and harder to mix. Hint: use a mini stick blender to mix into your glycerin or reserved oil. COMMENTS: I use this color for soap, mostly for Lavender, but others as well. I was SO happy that this came through true in the soap and just a lovely lovely color. I can't wait to combine it with others for options but honestly I like it JUST the way it is. COMMENTS: I absolutely adore this color in my lavender line of products! It's such a pretty, subtle purple that is calming! Fast shipping! COMMENTS: a very good product, makes good looking soaps...love the finish product. "morphed into a gray color"
COMMENTS: I guess I'm having bad luck with ultramarines but this colorant turned gray in my cp soap recipe. COMMENTS: I used this in my cold process lavender goats milk soap. I used the full teaspoon and mixed it with an ounce of shea butter than I use at trace to superfat. This was for a 4lb batch. It is a very light lavender. I would have used more if I had more. I will be ordering this soon and will probably try 2 or even 3 tsp next time. Good stuff though! COMMENTS: This produces a lovely purple without being muddled. 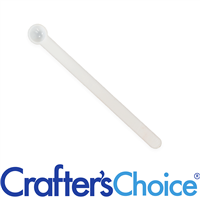 "No discoloration, easy to use"
COMMENTS: Used this in a swirl and had no issues with it! Used my hand mixer to blend about 1/2tsp with 1/4c oil (not water) from my base oils, then incorporated it into about half of my 3lb batch (definitely use a hand blender or frother! Stirring with just a spoon/stick will leave clumps). Went through gel phase and seemed more pale than when I had initially poured it, but was pleasantly surprised when I cut into my loaf to find brilliantly dark lilac/lavender swirls inside - only the surface got lighter (not soda ash though), but the inside stayed true, and became even a little bit darker than when I poured. I experienced no issues with color morphing, acceleration, ricing, etc. So to recap: I used 1/2t for 1.5 pounds of oils, and got a gorgeous light-medium purple. Would use again! COMMENTS: This is a lovely color, it does discolor in CP soap. But ive used it in lotion bars and balms and it looks great. COMMENTS: I love using powdered color in CP because it does not bleed and it is great for layering. This is a nice strong color that can be used sparingly for a more pastel shade or in a larger quantity for rich vibrant shades. Also like that it is a natural color and not synthetic. "The best thing for Salts!" COMMENTS: This color is gorgeous!! It's bright, it's easy to mix and it looks fantastic when used to make swirls!! COMMENTS: I used this lavender powder in my bath bombs and the color was perfect with my lavender scent! I will buy more of this color in the future. 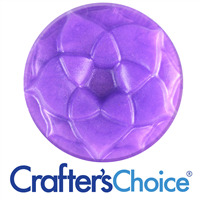 COMMENTS: I use this in my CP soaps...add a little or add a lot to get different shades of purple. If you use too little though, it is a bit grey, but just add more! I have no problems getting it to mix at all with my CP soap "batter".